It has been a long month since launch and the feedback from the community has helped us improve the product quite a bit just in the last month. Some of you have been keeping an eye on the changelog and have noticed quite a big update on the horizon. While we would love to roll it out immediately, we are going to take a different approach to this next update. We are introducing the community opt-in beta that will allow you to receive the latest beta version of 1.0.6.0 and subsequent updates. If you wish to help us test 1.0.6.0 before we roll it out to everyone, you can go to the Client Area and select the “My Products/Services” tab. Click on “View Available Addons” tab on the left sidebar of the webpage, click on “Click here to view & order”, and select TFDi Design 717 Community Opt-In Beta (we suggest that you select the PayPal payment option, it will skip payment information since it is free). This will allow you gain access to the COB and from there you can open the addon manager and it should automatically update to the latest version of the COB. 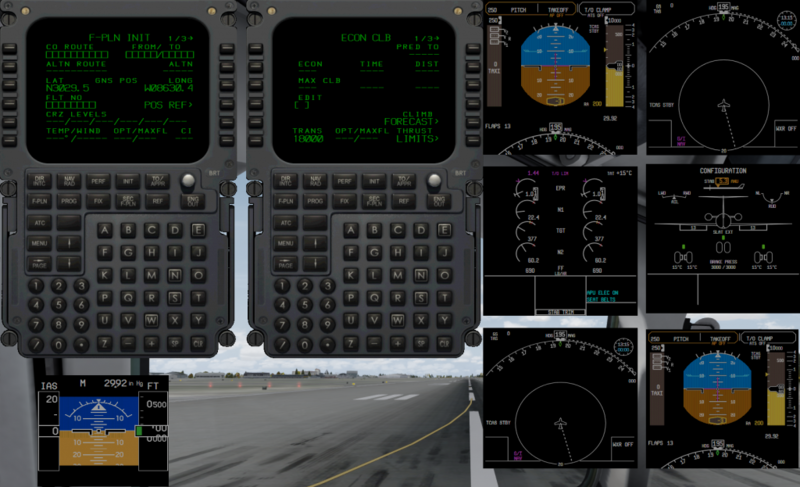 Please note: You will need to own the 717 before seeing the COB option. This build will introduce many features people have been asking for as well as many fixes and new tools for us to help you. The first feature I’d like to introduce is the addition of pop-up display unit and MCDU 2D panels. Here is a photo that Collin posted to the forums. With this newest update, we are introducing new tools for us to help you solve your problems. We are hoping that these tools will allow us to gain a better understanding of certain crashes that are very difficult to impossible to recreate. This will allow us to begin pushing updates that solve some of the edge-case CTDs that some of you are suffering from. We look forward to getting many of you back in the air so we can start focusing on adding more features in future updates! Posted in Community, Development, News. I am the lead programmer at TFDi Design.